Dear Visitor ! Are you Preparing For Upcoming Panchayat Talati Junior Clerk, Gram Sevak Exam. Don't Worry we are preparing model papers for you. This model paper is prepare as syllabus. 100 marks paper will help you a lot. This Paper contains all subject like Gujarati,English,Science,Maths,Reasoning,Current and all important section. 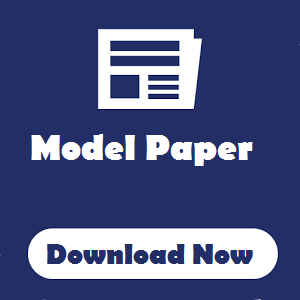 So download this paper and prepare better. Maruguj,in Is One Stop Destination For All Kind Of Study Material. Maruguj.in Is Providing Daily Current Affairs In Gujarati And English, Online Tests, General Knowledge PDF Files, Educational Updates, CCC News, Exam Notifications, Results and lot more things. So Stay Connected to us for Latest Study material.